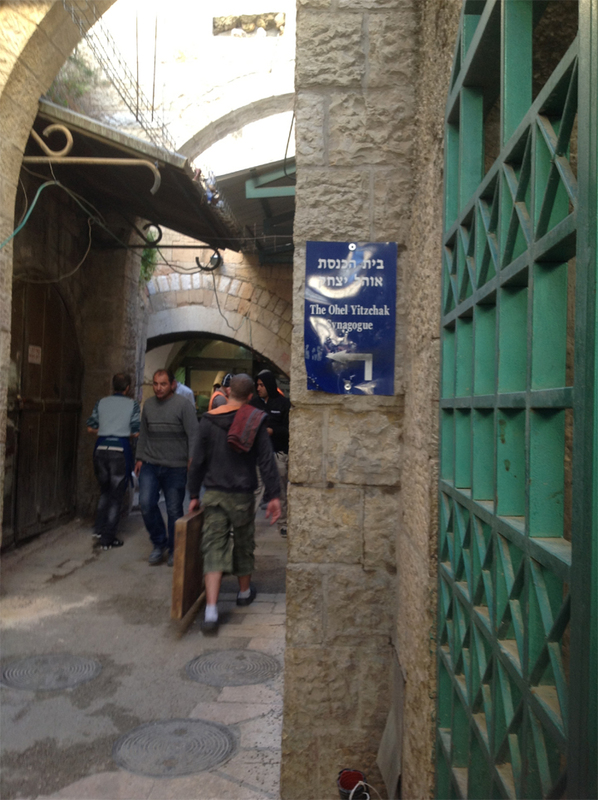 Mick and I decided to go touring in the Old City on Sunday. 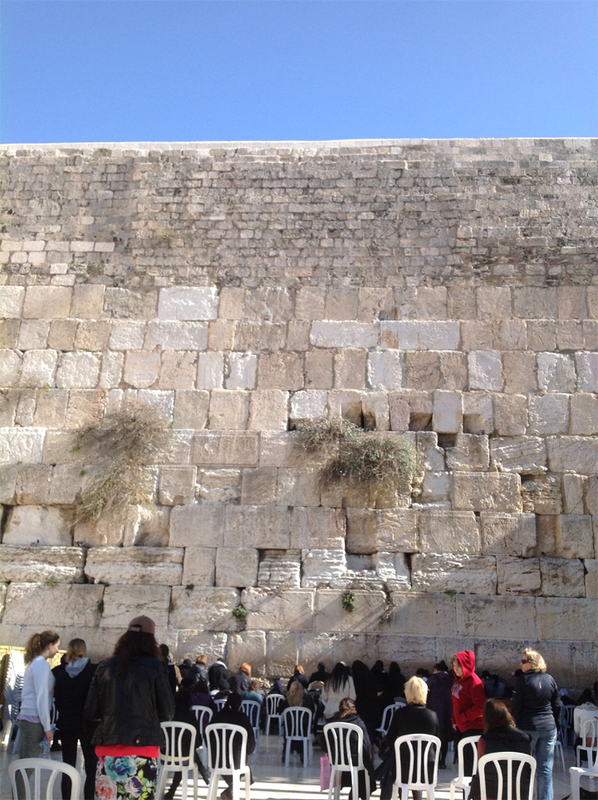 Our final destination: the Wailing or Western Wall. 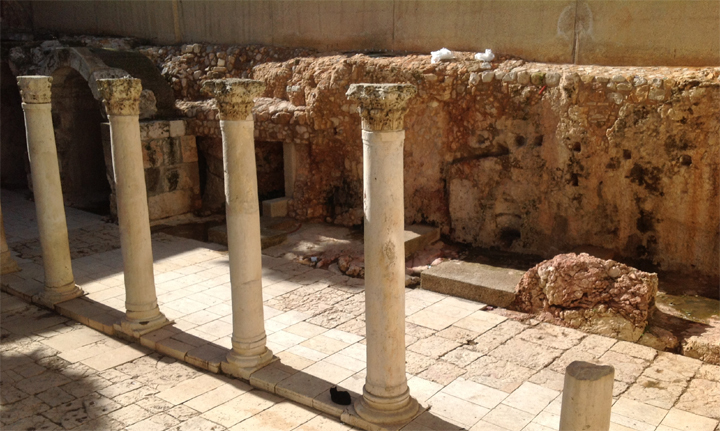 Our departure point was Hashmonaim where we were visiting a friend who had moved there six years ago. After taking the bus to the Central Bus Station we were directed to look for the Number 1 or 2 bus. 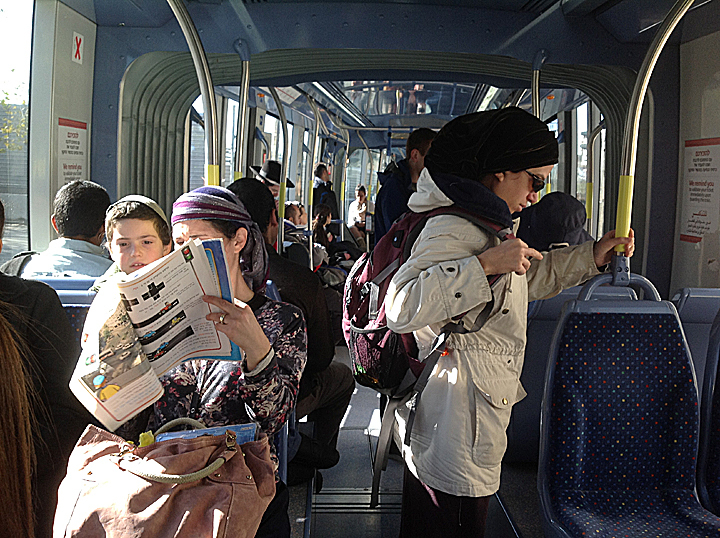 Despite asking directions and receiving replies in mixed English and Hebrew, we never did find that bus stop, so decided to take the light rail. Many of the passengers had a card (probably for unlimited monthly trips) but we had to struggle with the machine. They gave us a choice of at least four languages, English was one of them, but still it had to be negotiated and we never did figure out how to express the fact that we are old and therefore eligible for a discount. Once on the train, we put our ticket through a machine and a ticket checker came through after most stops to determine if we had a ticket and had it verified. 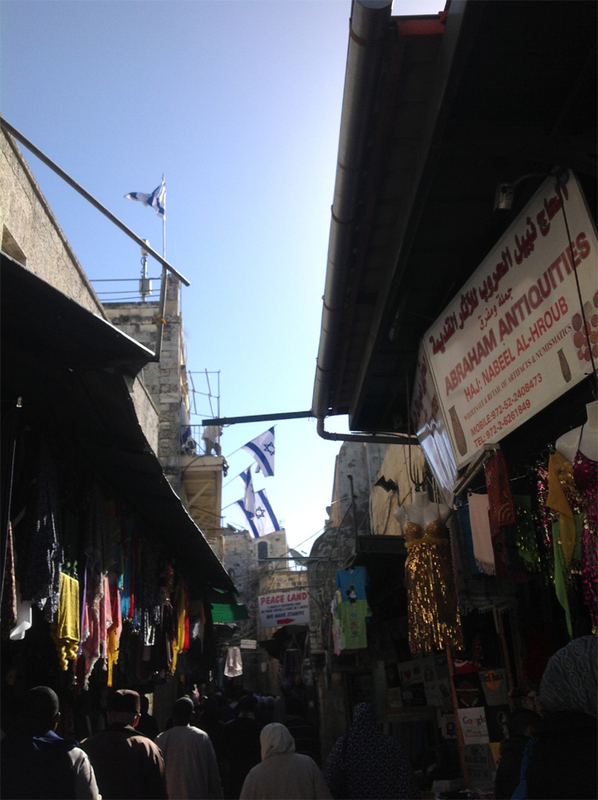 We exited the light rail at the Damascus Gate which took us through the Muslim quarter of the Old City. There it is easy to get lost as alleyways meander in all directions. 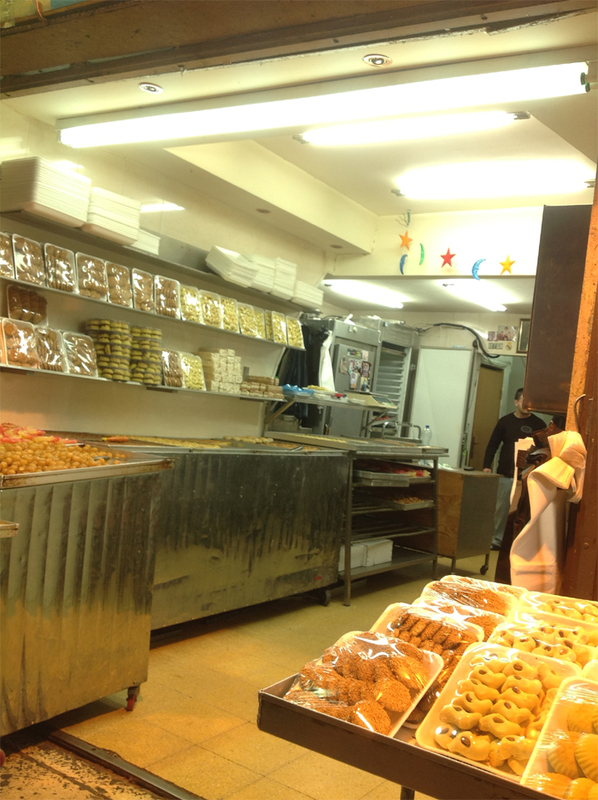 It is a colorful shouk with shopkeepers hawking everything from food to belly dancing costumes to clothing. 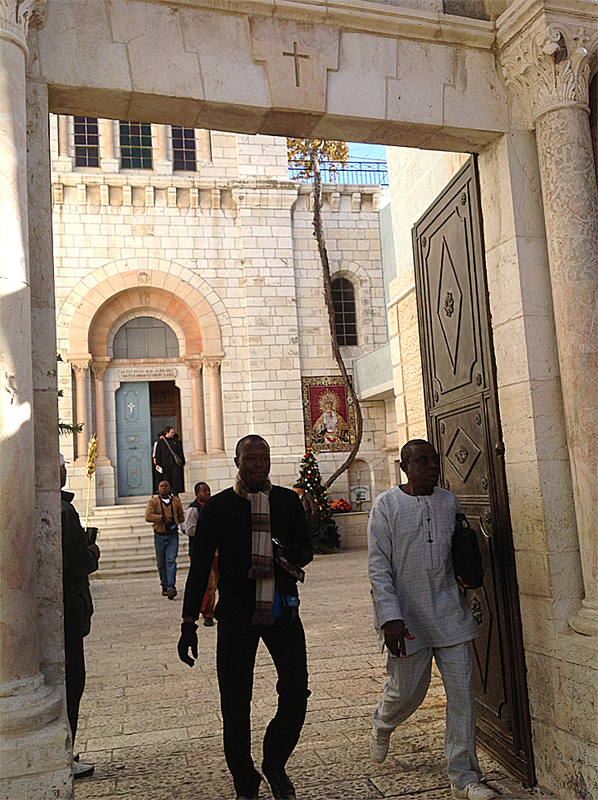 The first two photos are a group from Africa visiting two of the churches located in that quarter. This quarter also contains yeshivas (places of religious study for Jewish men) and a synagogue. 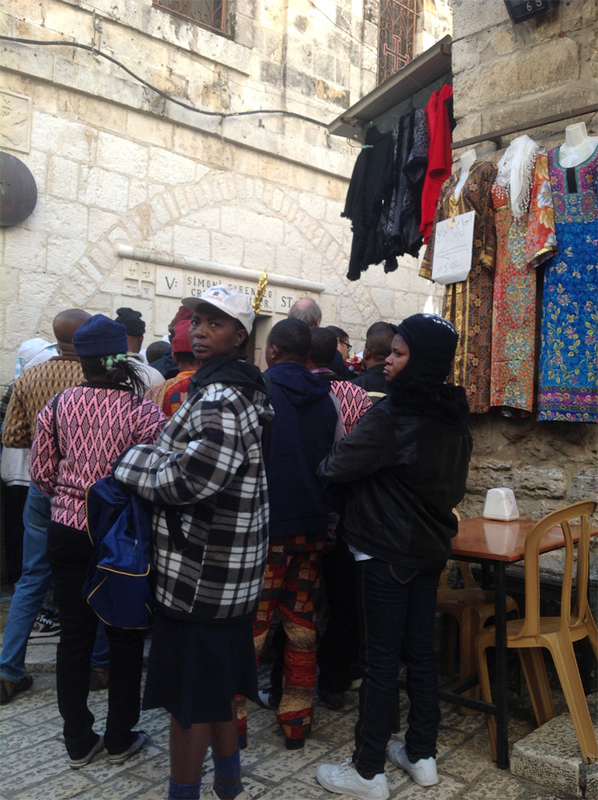 Once at the Western Wall (or kotel), we were jostled by people from Asia, Africa, Europe and the Americas. 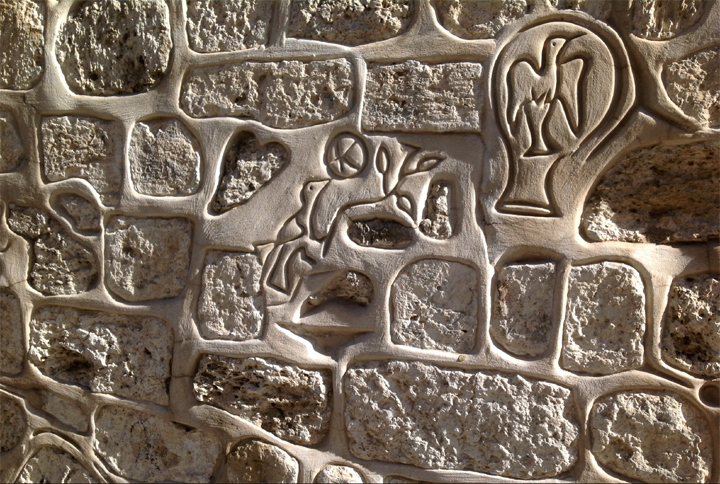 Even though it was a slow day there, everyone wanted to squeeze close to the wall to shove into every crevice of rock their written pleas to God to grant their wishes. 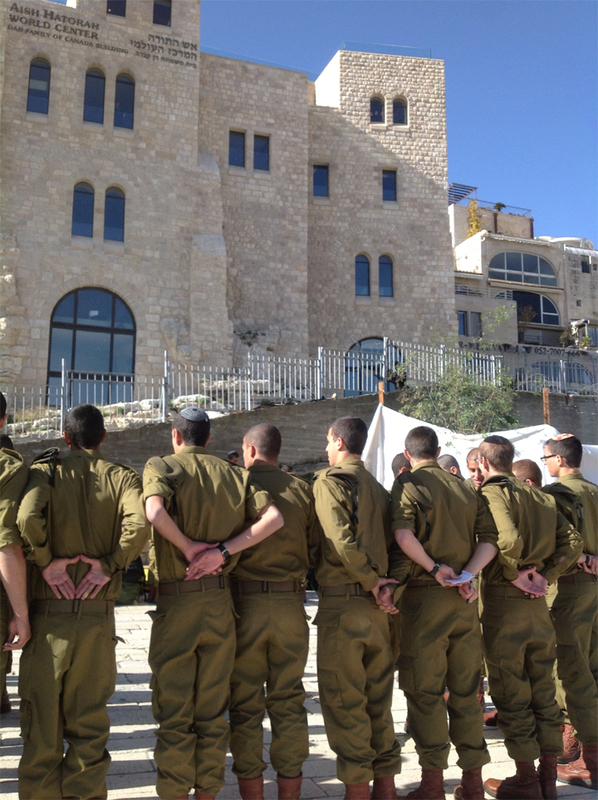 Here young soldiers are brought to the Western Wall to be inducted into the Israeli Defense Forces. 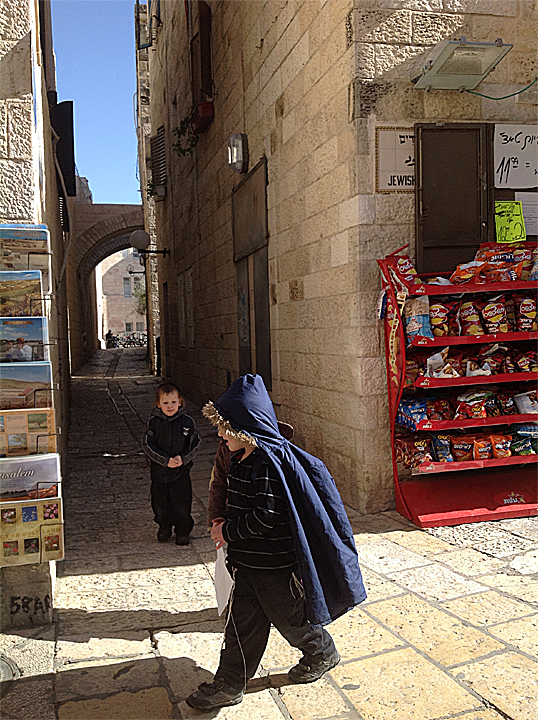 Very young children walk alone through the Jewish Quarter to go home for lunch. 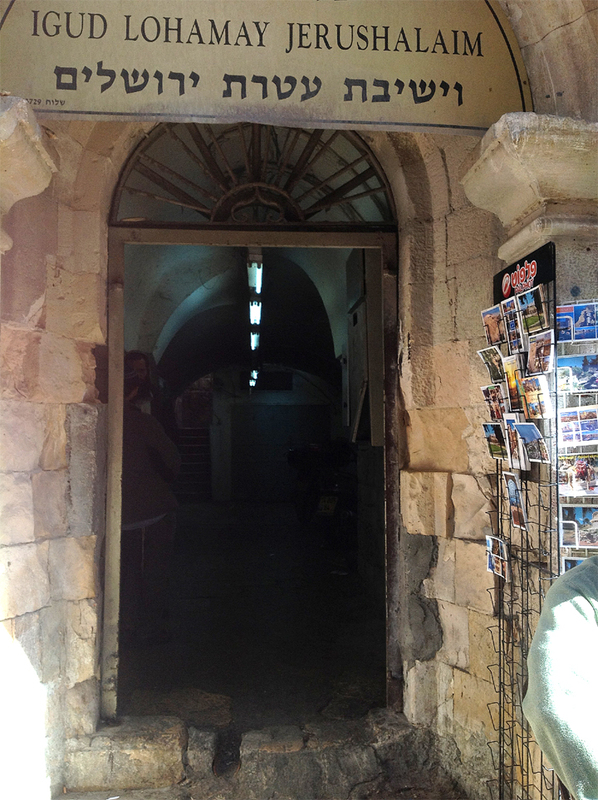 We departed through the Zion gate partially going through the Armenian Quarter. 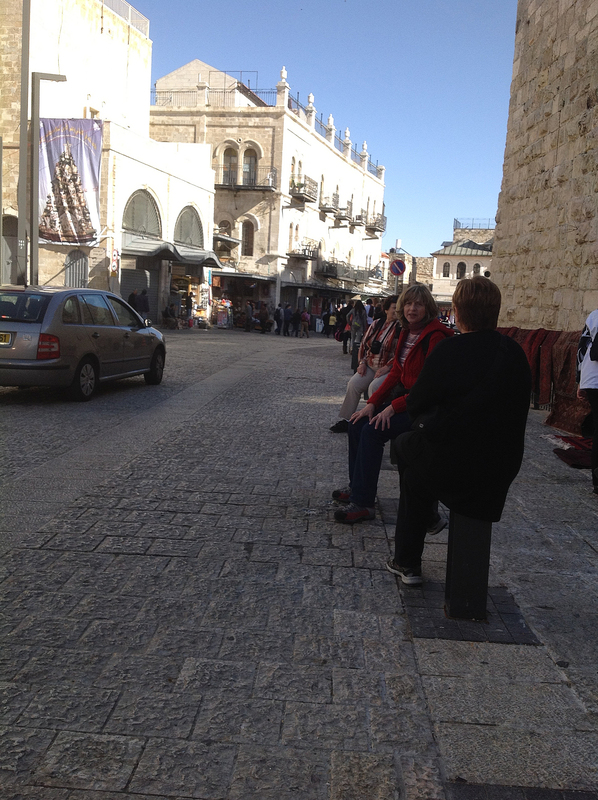 Weary tourists perch on stone pillars to relax their feet. 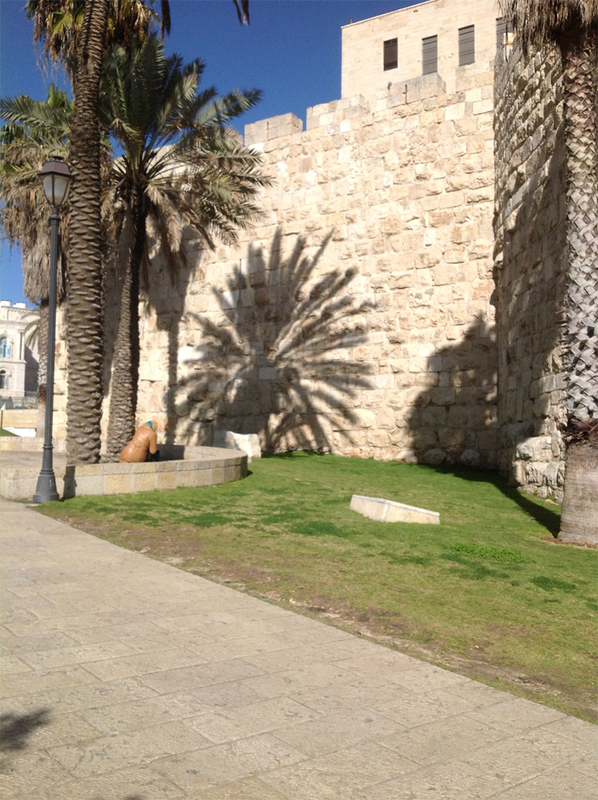 An Arab woman rests under a palm tree that casts a life like shadow on the wall. 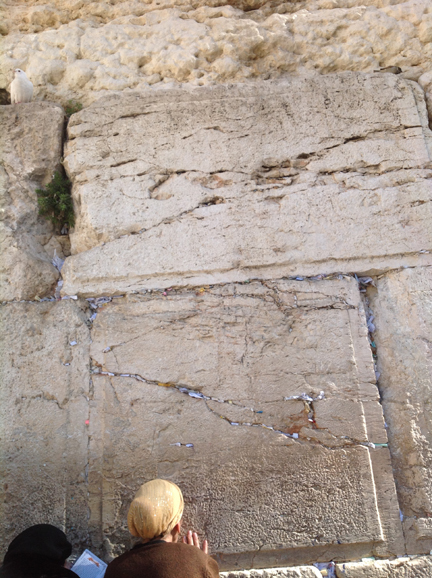 As we waited to take the light rail back to the Central Bus Station, I was amused to pick up wi-fi at the bus stop, minutes away from the BC 19 Wailing wall. 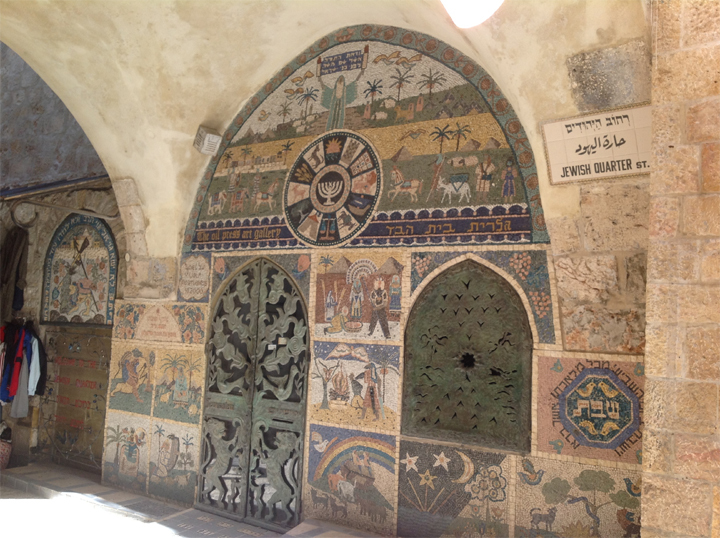 Categories: Travel, Uncategorized | Tags: Armenian Quarter, Jerusalem, Jewish Quarter, Kotel, light rail, Muslim Quarter, Old City Jerusalem, Wailing Wall, Western Wall | Permalink.